You’re not trippin’. 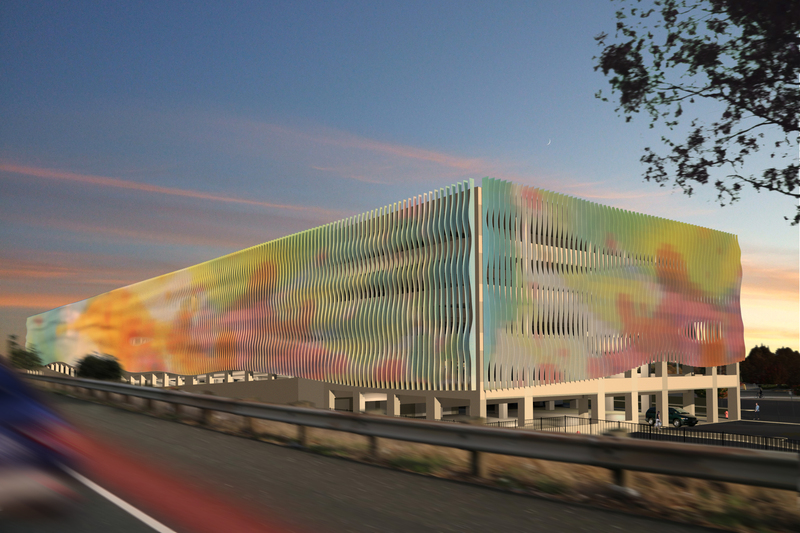 A Fairfield, Calif., parking structure will display an array of colors on its 50x600-foot façade. During the day, sunlight will bounce off the wavy vertical fins that link the building. 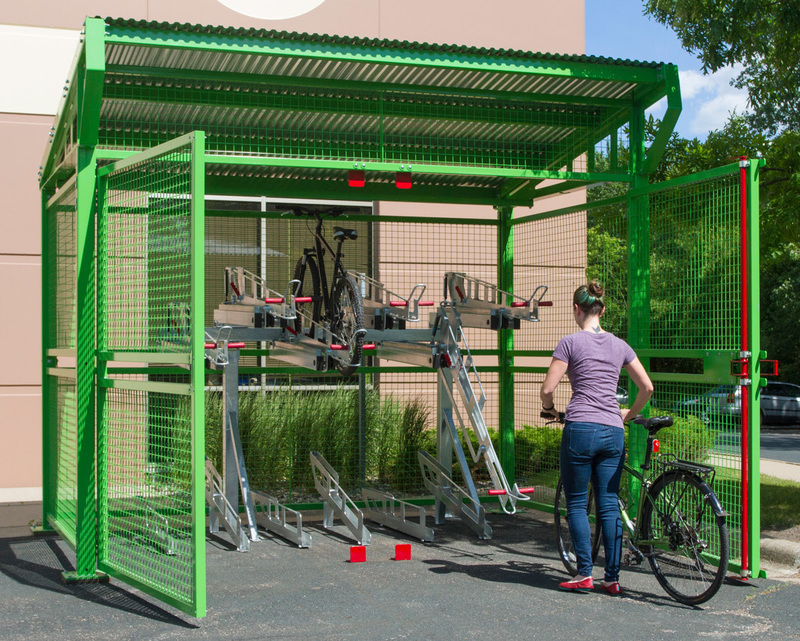 At night, a low-resolution LED display will project art made by members of the community. 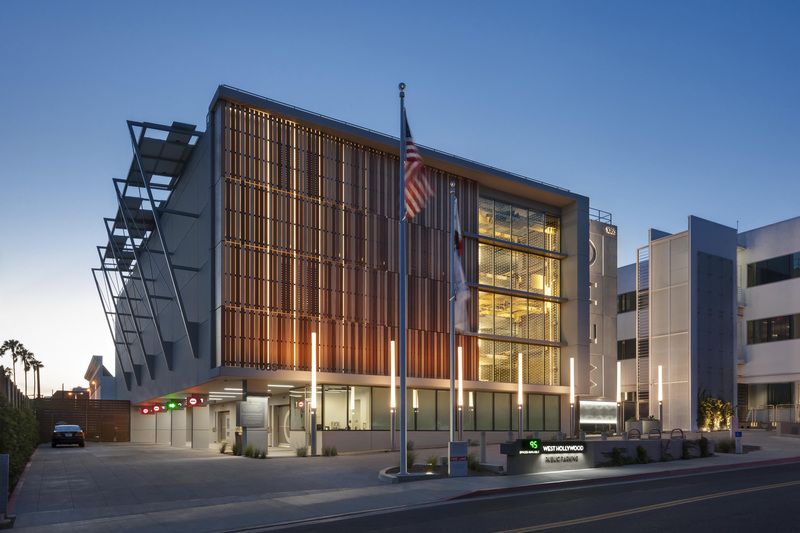 Dreyfuss + Blackford Architecture designed the 1,200-car, six-level parking garage. Photovoltaic panels will line the roof and they will power the four electric car chargers on every level. The garage will face Interstate 80, which connects San Francisco and Sacramento; Fairfield is roughly halfway in between the two cities. To accommodate a large commuter population, the structure will have bike lockers and van pool parking. It will be located at West Texas Street and Interstate 80, a busy area of Fairfield. The city’s aquatic center and skate park is only a few blocks away, and multiple retail stores, grocery marts, restaurants, and medical offices are within walking distance. Construction is expected to begin in 2018, and the structure will be completed in late 2019. Rendering courtesy Dreyfuss + Blackford Architecture. Click to enlarge.